The Computer Science Department at the University of Illinois at Chicago is seeking multiple full-time teaching faculty members to start Fall 2019. The clinical teaching track is a long-term career track that starts with the Clinical Assistant Professor position, and offers opportunities for advancement to Clinical Associate Professor and Clinical Full Professor. Applicants should have a PhD in Computer Science, and candidates interested in Computer Science Education research are especially encouraged to apply. Candidates would be working alongside 13 full-time teaching faculty with over 150 years of combined teaching experience and 12 awards for excellence. The department seeks candidates dedicated to teaching; candidates must have evidence of effective teaching, or present a convincing case of future dedication and success in the art of teaching. Content areas of interest include introductory programming, data structures, computer organization/systems, web development, data science, software engineering, and machine learning. The standard teaching load is 2-3 undergraduate courses per semester (depending on course enrollment). For fullest consideration, please apply by October 18, 2018. We will continue to accept and review applications until the positions are filled. The University of Illinois is an Equal Opportunity, Affirmative Action employer. Minorities, women, veterans and individuals with disabilities are encouraged to apply. 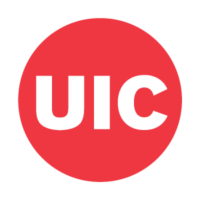 The University of Illinois conducts background checks on all job candidates upon acceptance of contingent offer of employment. Background checks will be performed in compliance with the Fair Credit Reporting Act.